Immediate and specific feedback to employees regarding “unsafe” behaviors, which provides teaching moments. Employees get involved in the process and take ownership of safety at the workplace. You get another feedback loop that can be used to identify exposures and risks at the site (this can be a handy data metric). This sounds like a panacea for all your safety performance needs. So what’s the problem? Well, the problem with most behavioral observation safety programs is that they don’t account for some blind spots that the programs tend to have, both practical and foundational. Let’s start with an example of the practical: First, when it comes to identifying “safe” and “unsafe” behaviors, your employees are far more likely to identify obvious “unsafe” behaviors that lead to smaller accidents than they are to identify less obvious behaviors that are in more of a grey area. Coincidentally, these less obvious “unsafe” behaviors are more associated with serious injuries and disasters. 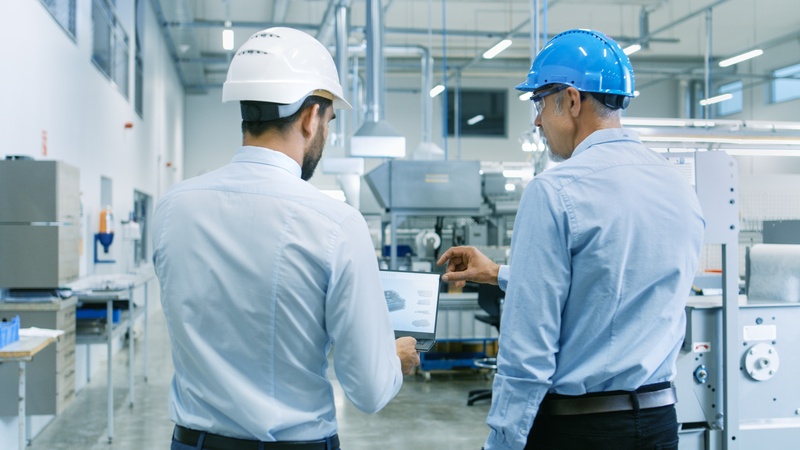 For example, behavioral observation safety programs are very effective at identifying whether employees are using the required PPE for a given task. However, these programs are not very effective at identifying whether technical procedures that are only slightly related to safety are being followed or even if those procedures are adequate for the reality the employees are facing. In cases where deviance from procedures is normalized you might have employees note a given task as “safe” because that’s the way the job is normally done, without realizing the risks involved. So the program provides an unreliable data source, causing you to think that your system is “safe” when, in reality, you are drifting towards “unsafe”. The bottom line from a practical perspective – behavioral safety observation works for obvious behaviors. However, if “safe” and “unsafe” behaviors are not as obvious, then the behavioral safety observation program may be a false indicator. The foundational blind spot of behavioral safety programs is that they tend to assume a binary answer: “safe”, or “unsafe”. This is categorically false. Behavior is inherently tied to the context and almost any behavior you can think of, if put in another context, is either safe or unsafe. Even the proverbial safety “no-no” -- running with scissors -- is sometimes the right thing to do (medical professionals run with scissors all the time in emergency situations). Now it may be possible to identify a behavior that is always unsafe (using some definition of “safe” and “unsafe”), no matter what the context. But that’s not the point. If we really have to think hard to find something that’s always an unsafe behavior, is the idea that behavior is either “safe” or “unsafe” a really useful concept? What if instead of a behavioral observation safety program we just had a performance observation program? Instead of judging whether the employee is doing something right or wrong, we just observe and try to understand how employees are getting their tasks done. Then, we ask questions, listen to stories, try to find the best way to do the job in the right context. With the understanding of the reality the employees at the sharp end face, instead of telling them that what they are doing wrong, we give them the tools (equipment, knowledge, time, etc.) they need to learn to adapt their behaviors to the contexts they face. We move past the obvious things and get to the real story of how work is performed in the organization. We move from a place of judgment to a place of cooperation. Then we not only get the basic advantages of traditional behavioral observation programs, we also eliminate the blind spots and build a foundation of trust between ourselves and the real source of safety in our organizations – our workers. Safety inspection checklists are a key component to a robust workplace safety program. Download this free Ebook for over 25 free checklists relevant to construction, energy, mining, manufacturing, utilities, and more! Ron Gantt is Vice President of Safety Compliance Management. He has over a decade experience is safety and health management. Ron is a Certified Safety Professional, an Associate in Risk Management, and a Certified Environment, Safety and Health Trainer. He has a Master of Engineering degree in Advanced Safety Engineering and Management, as well as undergraduate degrees in Psychology and Occupational Safety and Health. Ron specializes in safety leadership, system safety, safety management systems, and human and organizational performance improvement.